I truly can’t believe Friday has come once again! It seems so long away on Mondays, and then before you know it.. it’s the weekend! 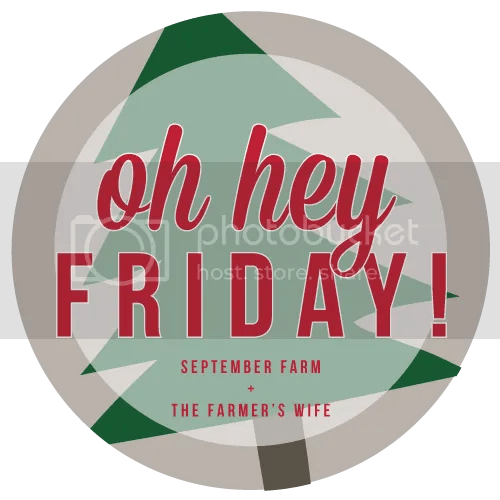 I am linking up with Karli, who blogs on over at September Farm to tell you about five happenings with the Johnsons,this Friday! First off, let me apologize for not really blogging in the last couple of weeks. Once all my kids went back to school, I thought I would have the time/motivation to keep this going pretty steady.. but that didn’t exactly happen! So, I wanted to do a little catch up with you all and a pretty cool giveaway at the end! My oldest two went to get their updated psychological evaluations done, which I am pretty excited to see what the outcome of that is. When children are in foster care, they must do this yearly to keep up with how the children are adjusting to their families, friends, foster parents, and overall environment. I will be most interested in seeing a comparison from when they first came into the “system” to see where they are at now. My infamous overscheduling occurred again where I was supposed to take baby girl to get her monthly synergis shots at the same time as the boys needed to be taken out of school to make their counseling appointment on time. Let’s just say.. Nana and Papa are the absolute greatest!! Baby girl has had some HUGE milestones happening lately, especially for a mircopreemie such as herself. She is 9 months old (but 5 months old adjusted age since she was born 4 more months early), and for the first time is able to sit on her own (even if it’s for a little while), and making huge strides in weight growth (baby girl is 15 pounds now which is so good for her), and making a lot of improvement in her ability to turn from back to belly! I spoke to the Lawyer for the first time who is going to be representing us in the fight for custody for baby girl! Nothing can be officially made until baby girl has been with us for 6 months, but hopefully soon we will know something regarding her case and where to go from here! I got all my boys a hair cut(including my husbands) and that was the best money I have spent in a long time! Their hair cuts have been WAY overdue, and we keep saying every time that “the next check we will make time to do it”, but I decided today was going to be the day, and they all LOVED it! They look so handsome and so grown up!! ** Now best for LAST! In order to be entered into my $25 Visa Giftcard giveaway, you must click on the Rafflecopter giveaway below and follow the tasks! 🙂 Good Luck everyone!! The highlight of my week was my daughter giving me a beautiful drawing from art class. Glad to hear things are going well and baby girl is making strides in the right direction! I think the highlight of my week was being offered an interview for a job I applied for! Thank you so much, and congrats on getting the job!! The highlight of my week was a 2hour hair spa appointment – I live for these!! This may seem silly, but I discovered mug cakes!!! and made a really good one with chocolate and peanut butter and another with lemon and sour cream! And now I’m googling and pinteresting away looking for more! They are so cute and fun! The highlight of my week was visiting Biltmore in Asheville, NC. The highlight of my week was having my friend and her daughter over for dinner mid-week. A feat to entertain on a Tuesday night! Enjoying the weekend relaxing, kicking back and catching up on TV!